They’ll take you on the ride of your life! 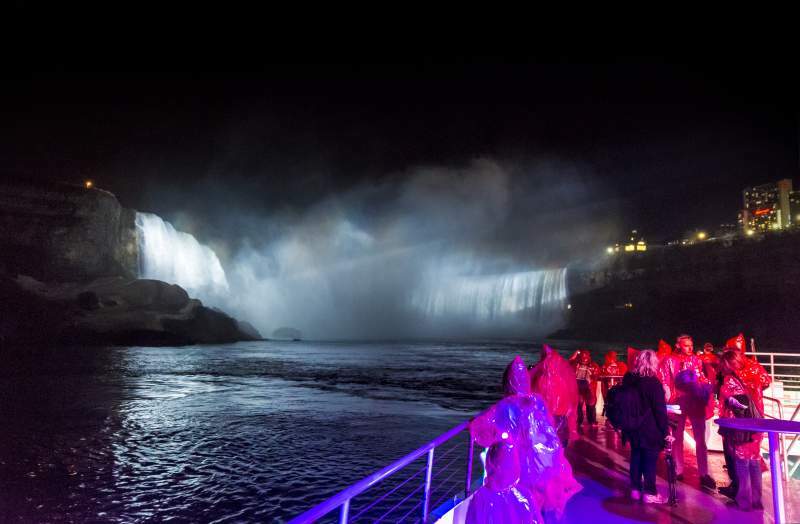 An intimate tour that gets you as close as possible to the breathtaking flow of water, power and mist that is the magnificent Niagara Falls. 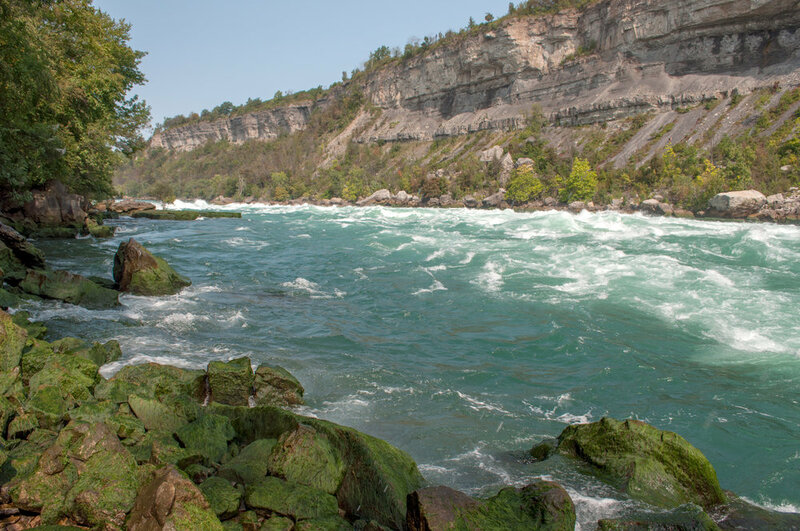 Within the Niagara Great Gorge they’ll journey past the American Falls, Bridal Veil Falls and into the very heart of the famous Horseshoe Falls. Hold onto your heart and keep your eyes wide open because you’re in for the thrill of a lifetime! Closed for the winter - from October 24 to approximately May each year. 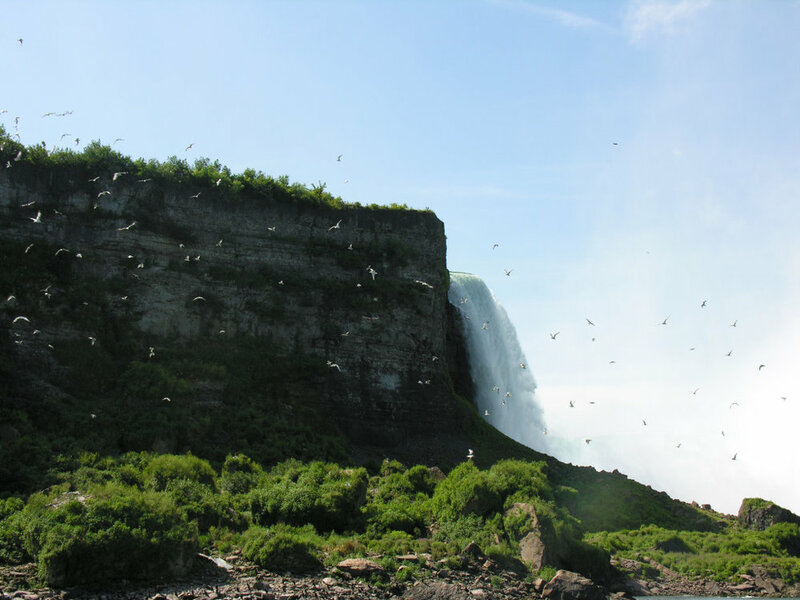 Click to visit the Niagara Parks Hornblower Cruise website. Stroll along a boardwalk at the very edge of one of the world's wildest stretches of whitewater! Marvel at the relentless power and beauty of nature and see how the deep and narrow Great Gorge was created. Trillions of gallons of water are forced into this accelerating trough - the sight will take your breath away! The White Water Walk features a photo gallery that reviews the stunters and daredevils from years past that tried to conquer Niagara's dangerous whitewater rapids. 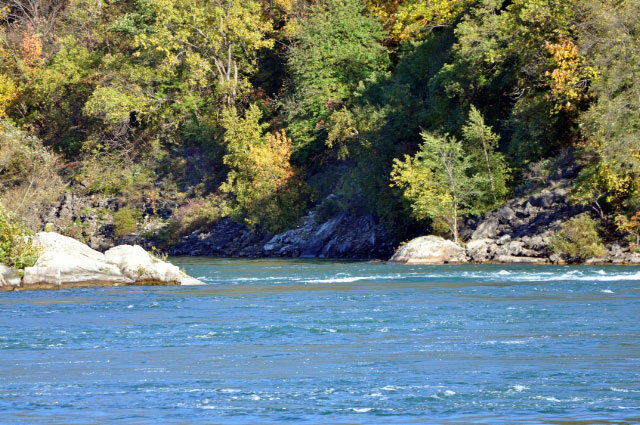 Click to visit the Niagara Parks White Water Walk website. 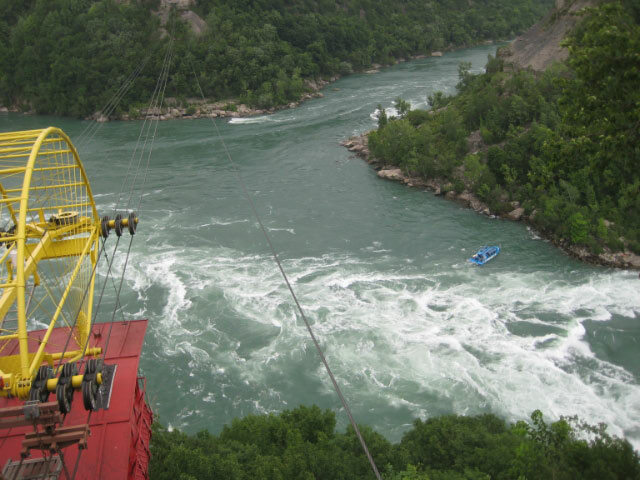 Cross the amazing Niagara River Whirlpool on a cable car giving you incredible views of the Niagara River and gorge. 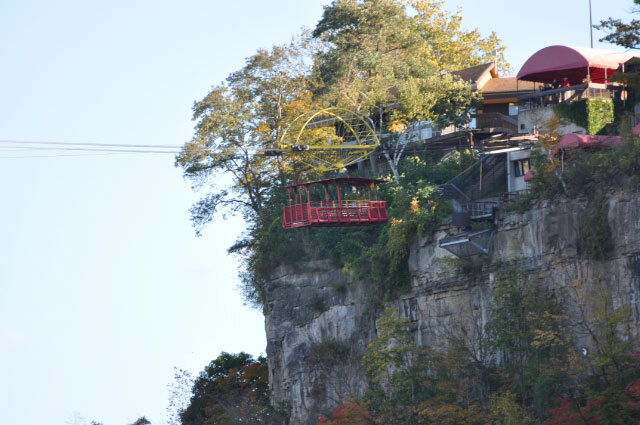 High above the racing Niagara River, you'll be transported through the air in an antique cable car. 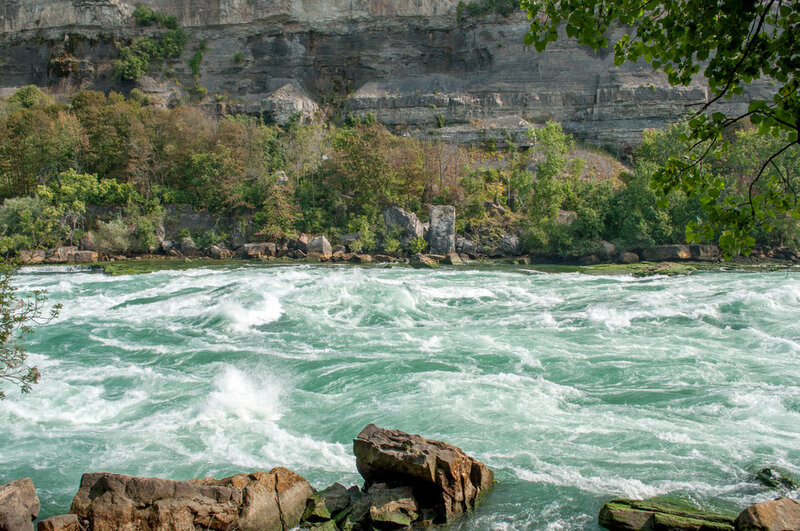 Far below, the torrent of water abruptly changes direction and creates one of the world’s most mesmerizing natural phenomenon – the Niagara Whirlpool. Sometimes frightening and always unforgettable! 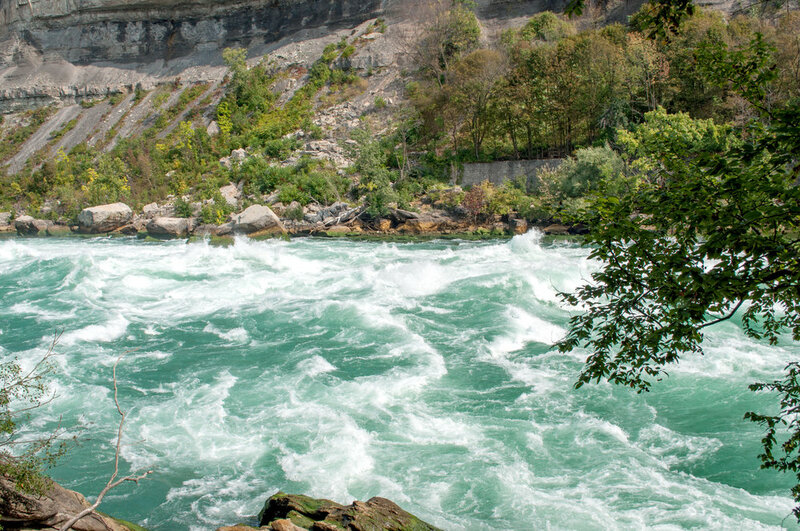 Click to visit the Niagara Parks Whirlpool Aerocar website. During the War of 1812, Fort George served as the headquarters for the Centre Division of the British Army. These forces included British regulars, local militia, aboriginal warriors, and Runchey's corps of freed slaves. Major General Sir Isaac Brock, "the saviour of Upper Canada" served here until his death at the Battle of Queenston Heights in October, 1812. Brock and his aide-de-camp John Macdonell were initially buried within the fort. Fort George was destroyed by American artillery fire and captured during the Battle of Fort George in May 1813. The U.S. forces used the fort as a base to invade the rest of Upper Canada, however, they were repulsed at the Battles of Stoney Creek and Beaver Dams. After a seven month occupation, the fort was retaken in December and remained in British hands for the remainder of the war. After the war, the fort was partially rebuilt, and by the 1820's it was falling into ruins. It was finally abandoned in favour of a more strategic installation at Fort Mississauga and a more protected one at Butler's Barracks. Click to visit the Fort George National Park website. 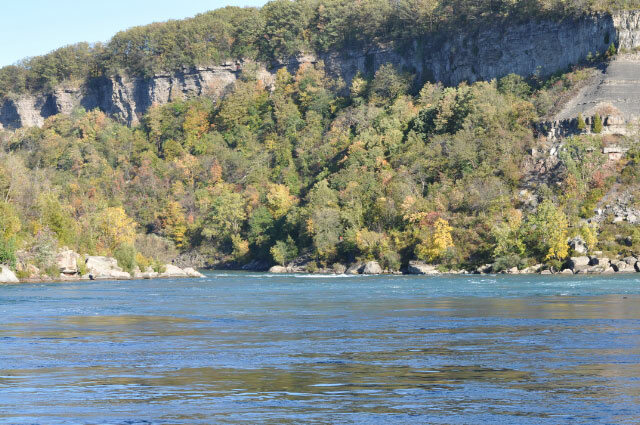 Natural Niagara Tours offer daily guided Nature tours through the Niagara Glen Nature Preserve where the mighty Niagara River (slowly) tore through rock and stone. Explore the places once carved by the mighty Waterfall. 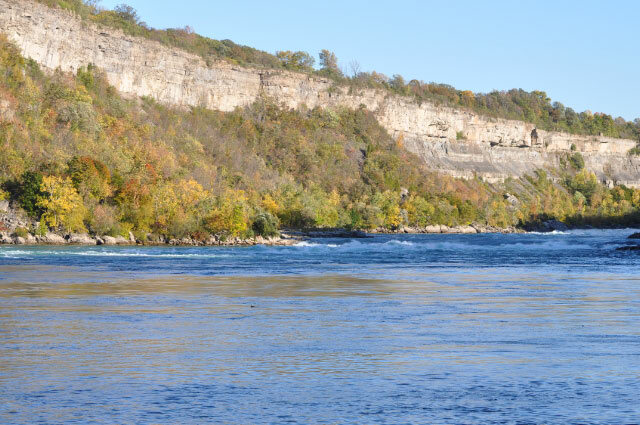 Experience one of the only Guided Nature Tours in Niagara Falls. Learn of the fascinating and Lesser known history of the area (including First Nations history). Experience something New. Book your tour now or ask us a question in the box below! Niagara is a Magical place. Come and Explore it with us today. Situated below the crest of the Niagara Escarpment and stretching to the Niagara river and the shores of Lake Ontario, Niagara-on-the-Lake is the heart of Ontario wine culture and a world-renowned wine country destination. This region is also well known for its annual celebrations of foods and award-winning wines. Here is a list of many of the local wineries. Click on the winery name to access their official website. You need to be able to smell and taste the wine without interference. Most wineries even provide bread and water to help cleanse your palate between tastings. If you're visiting several wineries feel free to pace yourself and spit or dump out the wine you're tasting into the buckets provided. Ontario Law limits you to four 1-oz. samples of wine per tasting. Realistically, you are only going to be able to visit a few wineries in a day. It is also important to stop for a quick bite to eat at one of the winery restaurants or somewhere else along the way. This is the most important piece of advice you'll get. The winery staff is extremely knowledgeable about their products and wines in general. Ask about ageability and food and wine pairings. 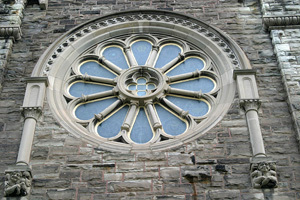 In 1875 Archbishop Lynch of Toronto offered the Carmelite priests and brothers the Shrine Parish of Our Lady of Peace at Niagara Falls along with its mission stations, as well as 100 acres of property on the edge of the Niagara Escarpment with the idea that the Carmelites would hopefully develop a retreat ministry at their monastery. By 1897 a hospice was opened to pilgrims with the revolutionary idea for its day that the laity, as well as clergy, would come to Mount Carmel for a spiritual retreat. Today the Mount Carmel Spiritual Centre welcomes people of faith who seek spiritual growth and personal enrichment. A variety of workshops, retreats and conferences are sponsored for people of faith seeking an environment of silence and solitude in which to pray and reflect. As a conference centre, the Carmelites host various religious and educational groups who seek a beautiful setting in which to learn and to grow. The Ten Thousand Buddha Temple of Peace is a Mahagana Buddhist temple rising seven stories towards the heavens, while sitting on 3 peaceful acres. Dedicated to the furtherance of Buddhist principles, the structure is adorned with a variety of statues and paintings.The building is not only an example of Asian architecture but also functions as a place of worship. Services are held morning, midday, and afternoon, and visitors are asked to respect persons of faith paying reverence at Cham Shan. Open to the public. Morning and evening services daily. Free guided tour of the 7 story Stupa on Saturdays and Sundays from June to October. Gift shop of Buddhist arts and crafts. Guided tours are provided by qualified costumed interpreters, providing information about this historic house and the history of the area. Light refreshments, ice cream, Laura Secord chocolates and a selection of quality souvenirs are available. The year is 1812. You're far from home in the unknown wilds of Upper Canada. The place is Fort Erie and war is in the air. All around you are the exciting sights and sounds of men preparing for battle. Step back into a time of red coats, black powder and gray fortress walls. Over 200 years of living history resides within, at Old Fort Erie. Originally constructed in 1936, Oakes Garden Theatre was built in the form of an amphitheatre. By capitalising on the contours of the landscape, a fan shaped curved pergola was constructed. Rock gardens, lily ponds, and shrub borders have all been built around formalized gardens. Queenston limestone was extensively used around the perimeter of the property. Attractive ornamental iron gates were incorporated into the design for aesthetic and functional purposes. For over 60 years visitors have come to Discover Paradise at this lush oasis, just a short walk from the Falls. Collections of orchids, succulents and other tropical plant species are on display throughout the year, along with floral shows that reflect the changing seasons. Flying throughout the greenery are colourful tropical birds that may sing for your entertainment! During the summer months, don't miss the spectacular gardens surrounding the Floral Showhouse, including one of Niagara Parks' extensive rose gardens, ponds and a fragrance garden where plants are identified in Braille for persons who are visually impaired. Wander along the paths or rest on a bench in the peaceful Artists Garden - you won't believe you are in the centre of the city! This area is home to the "Winter Festival of Lights" from November to January each year, when several animated lighting displays are placed around the perimeter of the islands. 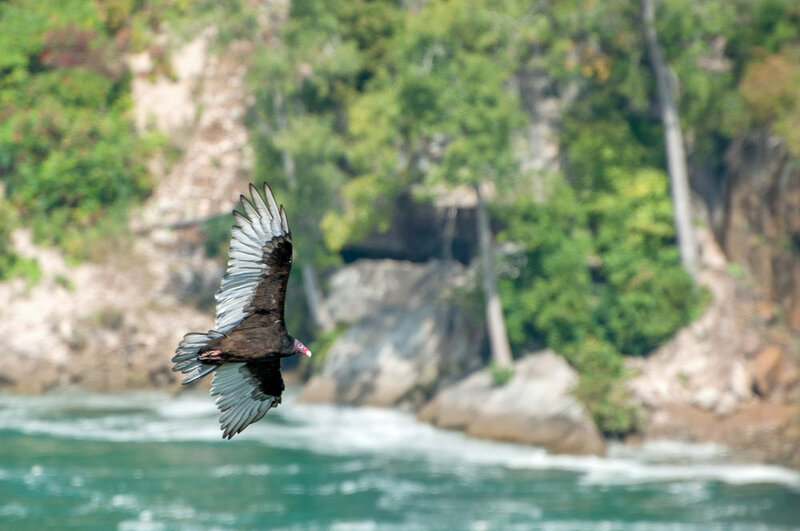 Exploring the islands you will encounter a plethora of wildlife including beavers, racoons, squirrels, Canadian geese, ducks, seagulls and many other fowl.